The origin of rings is placed in the desert of North Africa during the old Egyptians which would use braided grass around their fingers. They believed that the circle it’s the expression of eternity since it has no beginning or end, exactly like the time and from there to the belief that love should be eternal was just a step. This step was made by placing the ring on the forth finger of the left hand where they believed it’s located a vein which starts from that specific finger and reaches the heart. Of course this belief was borrowed by Greeks, from them by Romans and so it came to be a custom nowadays. We all know that grass is pretty fragile and because the rings wouldn’t last as they would suppose to in order to express the never-ending love, step by step they were improved. Wool, bones and silk were the next fabrics used to make more lasting rings and when metals were discovered the rings grew more and more in importance especially when gems started to be incorporated. Soon they begin to have more than a sentimental connotation; they were also used as exchange coins and wealth show off. Around the rings there were born some superstitions like: if the ring was too large that would mean infidelity, if the ring was too tight that would mean jealousy and if a relationship didn’t have a ring involved then it was considered illegal and will bring bad luck. One of the oldest legends about rings comes from the Greek mythology and it’s about Prometheus who was punished by Zeus for giving the fire to the humans. He was enchained to a mountain for eternity and when Hercules freed him, he was forced by Zeus to wear forever on his finger an iron ring with a piece of rock from that mountain as a sign that he will be never completely free. Now see the connection with the currently wedding rings? I bet that was a legend made up by a woman although it was written by a man! Nevertheless, the ring is the most popular sign of the eternal love and during the modern era, men who dared to give a woman such a ring and after a while interrupt his “eternity”, well, let’s just say that they will have to pay a very high price for it and I’m not talking metaphorically. The punishment for breaking an engagement was mainly material and included: compensation for the expenses used while preparing the wedding and even moral damages and the estimation on the loss of other proposals. God forbid they were intimate because the price would be absolutely huge! Because in time these compensations reached a ridiculous high amount of money they were limited by law so women replied by accepting engagements only if they had a diamond ring along. 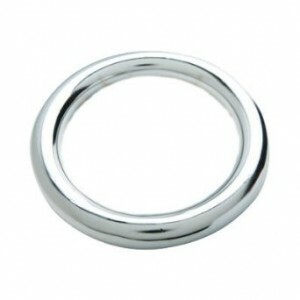 Having in mind the costs of such rings, we can just say: pretty smart, right? 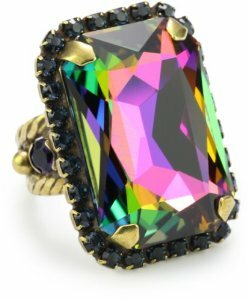 There is a trend started in 2012 and it’s still running in the latest collection of rings : neon jewelry. Use them only if you are a bold person wearing a non-conformist style or a casual outfit because the vivid neon colors, materials like neon rhinestones, bright plastic beads and neon colored materials are not for everyone. Speaking about come-backs, snakes are also in trends since snake accessories are again used by high end designers therefore snake rings became a must. The same happens with rose gold which is back on too and represents a touch of femininity and refinement. Also, for a non-conformist style and definitely not for usage at work, this year spiked jewelry is in trends. Few years ago it was associated with punk and grunge fashion but now it is a super hit. Coming to shapes, the geometric jewelry it’s very much used and the triangles for example are also a hit when it comes to rings. 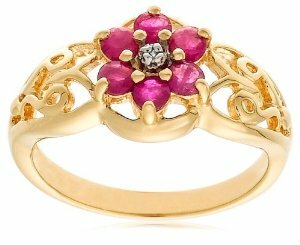 Another trend for rings in 2013 it’s the Victorian Antique inspiration. 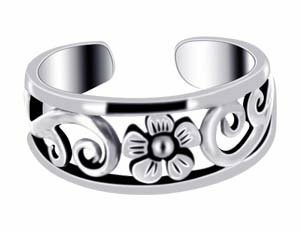 These kinds of rings are quite large in size and much garnished with detailed designs such as filigree techniques. 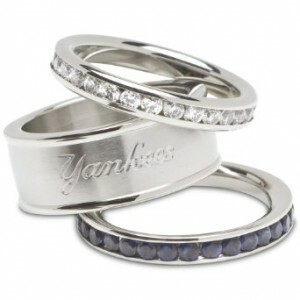 Also, engraved rings are very popular. 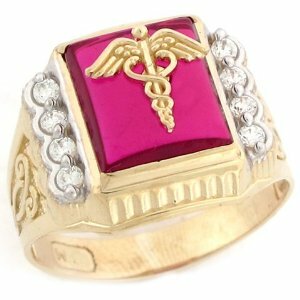 The gems incorporated in the rings came in time to be considered to offer the person who wore them protection depending on their month of birth. Therefore you may find below a list with the 12 months and their gems. If you are not satisfied with your month gem significations, you can choose another gemstone based on its color because colors have their own significations too. If you have a ring with a large stone you risk it would look fake so choose a precious metal for it so the stone will seem real. Also you will need to wear it on your middle finger while other rings, with smaller gems are to be worn on the fourth finger. You may wear your ring not only on your fingers, but also on a necklace instead of a pendant. It’s quite romantic, don’t you think? In case you use jewel sets, then match the ring with the necklace and the earrings with the bracelet, while the brooch can be matched either with the earrings or the necklace. Jewels are considered to finalize and refresh an outfit while inducing you a good mood and elegance so start being creative and mix your jewels to give life to your outfit and look like you are wearing every day something new. Combine different jewels so only one of them should be in the center of everyone’s attention. Ergo, if you choose your ring to play the role of the “star”, then it has to draw attention either by its color (you already know that red it’s a powerful color for example) or by a complicated design. Choose a ring with many colors, with a complex and interesting design, made of different types of materials and you’ll have a winner. If you are wondering how I should match ring with clothes then use the following tips for matching ring with outfit : if your ring it’s the star, then choose some nice simple clothes, in one color, while if the outfit plays the role of the star, then your ring should be small so it won’t overcrowd the outfit. A subtle ring which you are using to highlight the so-called “star jewel” doesn’t have to be boring, but a small one with a simple design which will complete your outfit. Hands are very easy to accessorize because there are a lot of accessories available for them: rings, bracelets, watches, bags and even manicure. If you use an imposing ring then match it with a simple bracelet, while if you choose to wear a simple ring, a bold watch will be appropriate, but if you choose a fancy bag, then wear a thin and simple ring or bracelet. When wearing a smart casual outfit, or an office attire , then you have to be careful to wear only elegant or simple rings to complete your outfit. I like to match my rings with other accessories too like: sunglasses , scarves or hats , but there is not a general rule for that. It’s just that I want to look perfect so I pay extra attention to everything: shoes, belts , hair accessories and so on. 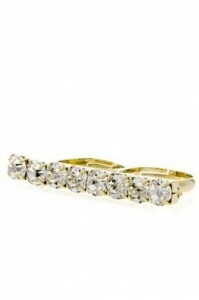 – don’t wear at the same time rings made of yellow gold and silver. 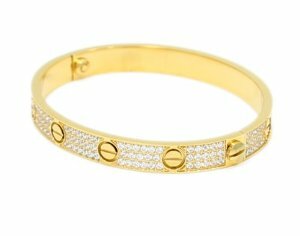 Gold it’s more precious, elegant and sophisticated so it won’t match with silver which is more appropriate for casual outfits and works better with denim shorts , blues jeans and summer dresses. First thing you need to know when you decide to buy a ring it’s when to buy it. For example, if you measure your fingers or try some rings at the end of the day or during the summer, your fingers will be thicker because of your blood circulation. During the winter or when it’s cold, your finger will be thinner so don’t be fooled to buy a ring then because you won’t be able to wear it comfortable enough in the summer. If you really want to buy it then bring another one which you know you can wear during the summer or try to warm up your fingers as much as possible. 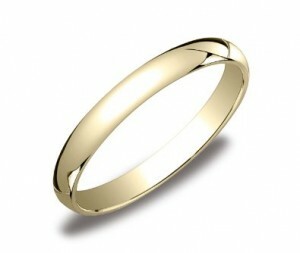 The size of the ring you choose it depends also on how thin or thick your phalanges are. Trouble is that if you have thick ones then, once the ring gets through them, it will move in all directions and turn around the finger because it will be larger than you’ll need to for that area of the finger. 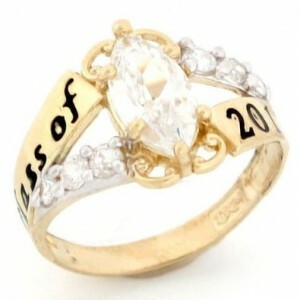 To avoid that, just choose a wider ring or wear it on the middle finger especially if it has a stone incorporated. If you want to buy a ring to someone, the best way it’s to go shopping with a ring which you know it suits her/him, but if you want to be a surprise and can’t take one ring with you, then measure its diagonal with a ruler and search one to be exactly the same. Don’t be fooled to think you can figure out what size to buy by trying one on before going shopping. I doubt you’ll have the exact size and that your phalanges are the same. 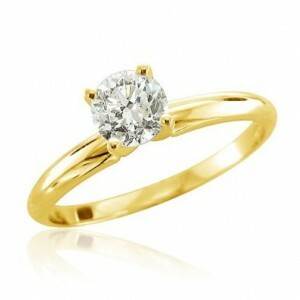 Always buy a ring which will fit you perfectly without being too tight, no matter how much you like it. You have to feel comfortable wearing it at the end of the day, same way you feel wearing some Mary Jane flats. Also, take it off at the end of the day, every day, because if you wear it too long, not only you will damage it but you might never be able to take it off and you won’t enjoy that no matter how much you love that ring now. A nice ring it’s like a good perfume, used properly it can make you look fabulous; if not… it will ruin everything. Made of grass or platinum, the symbol of rings remains the same for the romantic ones: never-ending love and loyalty, while for the rest it’s all about wealth and power. No matter of your motivation, you must admit: they look so good on our fingers!